By far the most impressive and bet known prehistoric site in the Western Isles is Callanish stone circle on the Isle of Lewis. 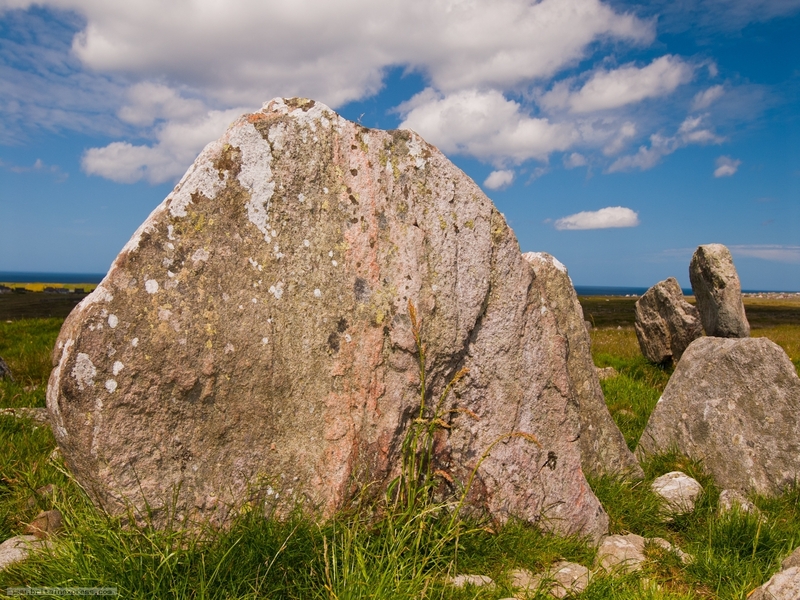 Further north on Lewis is a much smaller but still intriguing stone circle at Steinacleit, near the hamlet of Siadar. The circle looks down on a small lochan called Loch an Duin, where the ruins of an ancient dun stands in the middle of the lake. A short distance away is a huge monolithic standing stone at Truiseil.